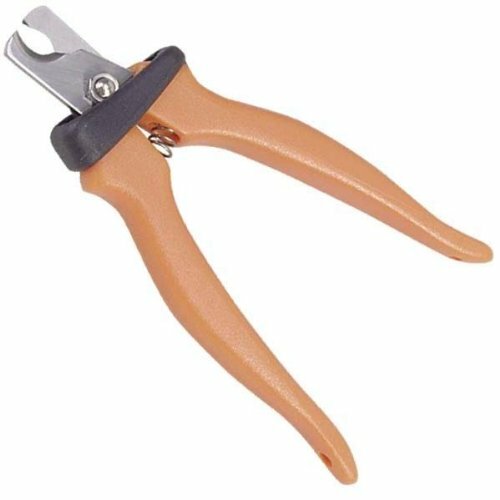 Millers Forge Plier Style dog nail clipper is made by a manufacturer of surgical tools. This rugged nail clipper will stand up to the demands of busy grooming shops. The comfortable, non-slip handles, heavy-duty spring loaded action and ultra-sharp blade edge allow you to quickly trim nails without effort, reducing hand fatigue. Perfect also for tail docking and dewclaw removal. Positive lock mechanism allows to store the clippers in the closed position. Available in medium size with orange color. Measures 5-3/4-inch.